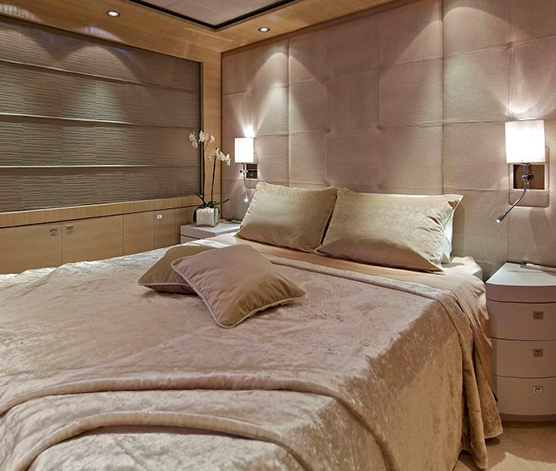 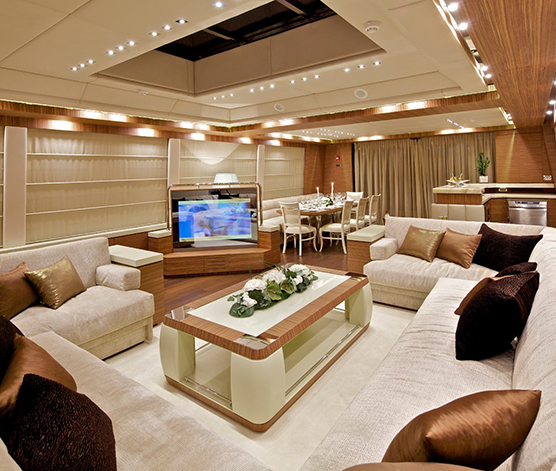 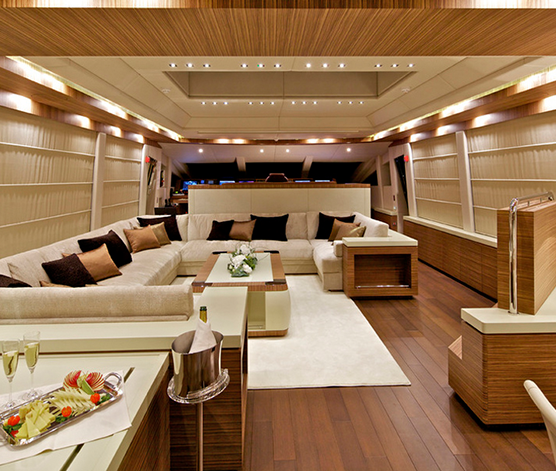 O’PATI is a marvelous modern designed, unique open 40m luxurious yacht of 130 feet in length. 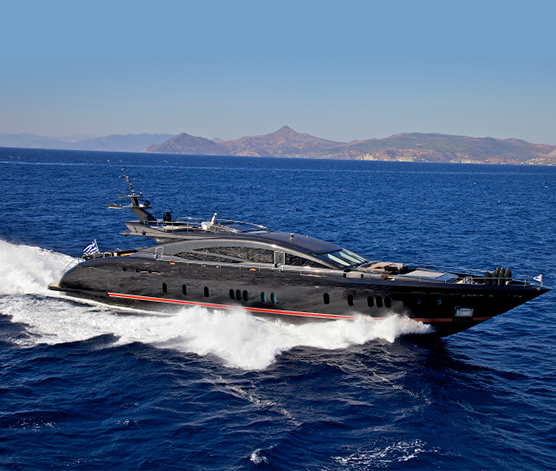 Based on minimal-chic design, her black hull and silver superstructure turns heads in all ports. 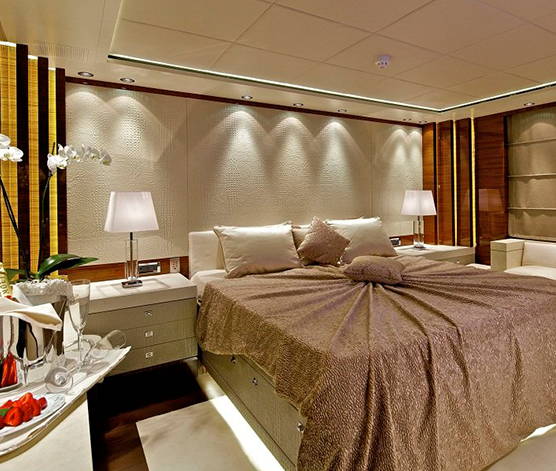 She was built in 2011 by Golden Yachts. 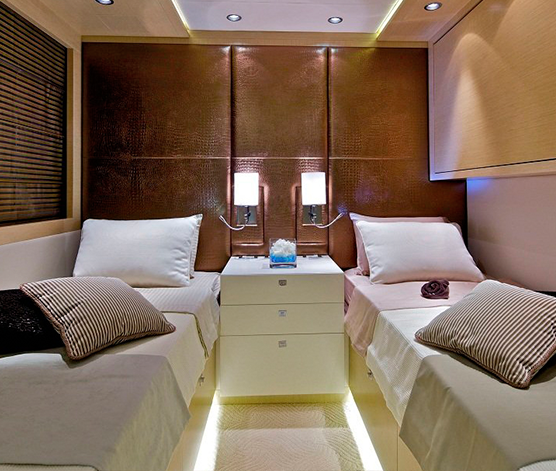 Accommodating ten to twelve guests in five staterooms (one Master, two double, two twin cabins with Pullman berth in each, all with en-suite facilities). 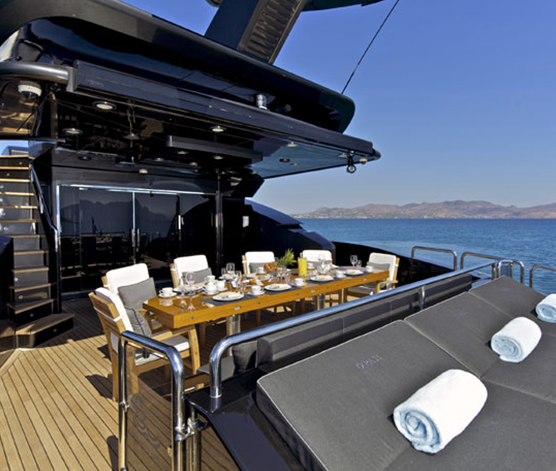 There are total of three different outer deck areas for countless hours of outdoor lounging, dining and relaxing. 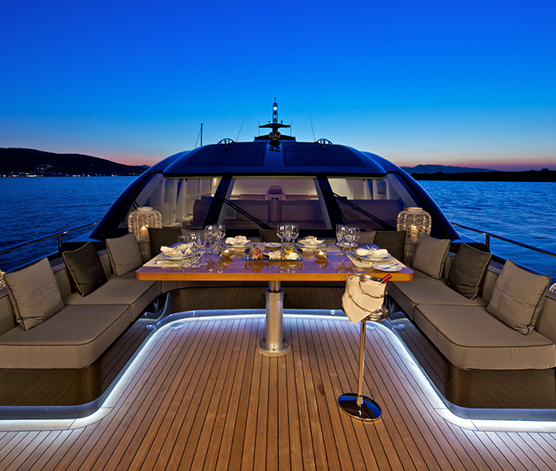 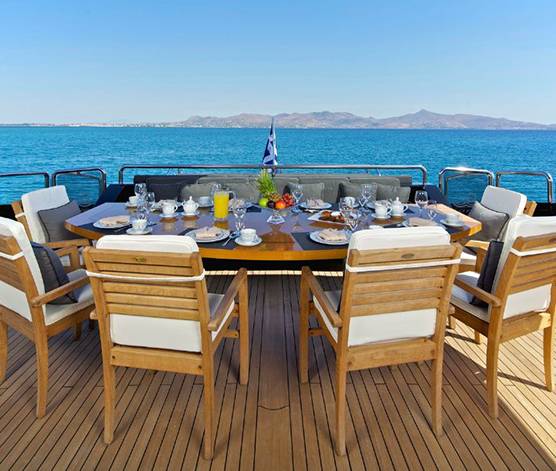 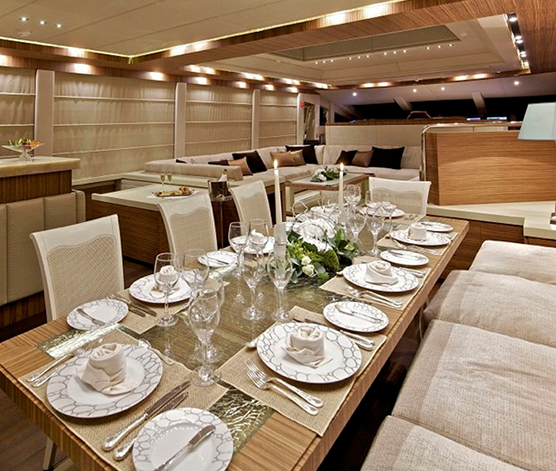 She offers great style and comfort while cruising at a speed 24 knots. 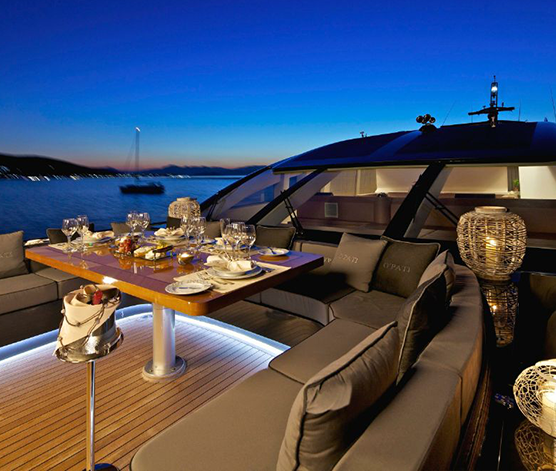 She has some super awards as follows: Best Power Yacht 24-40m at the International Superyacht Society – 2012 Design & Leadership.